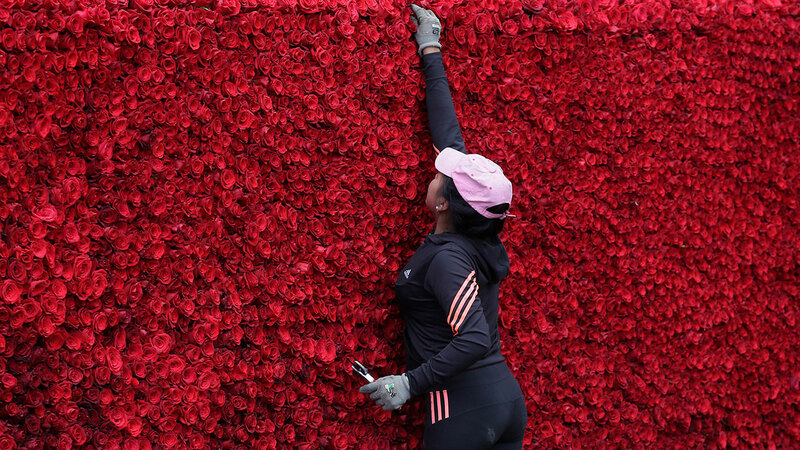 TABACUNDO, Ecuador (AP) -- The people in this small Andean town are the proud creators of the biggest floral structure ever built - a life-size replica of an indigenous pyramid made from 546,364 roses. It took a week to erect, with about 1,500 people pitching in by working an average of 16 hours a day. One of the organizers, Rosa Cisneros, says the town wanted "to show the world where the most beautiful roses on Earth come from."